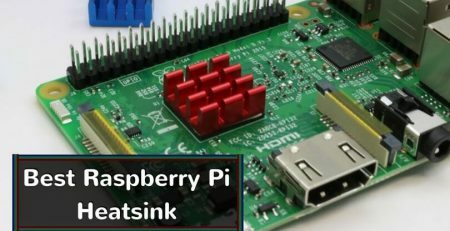 The Raspberry Pi works just like your regular desktop PC, except that it is a single board microcomputer the size of a credit card. 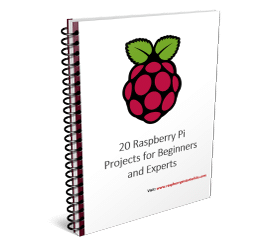 But, is that all you can do with your Raspberry Pi? Not really. The device is so popular among students, professionals, hobbyists, and artists alike because you can do many things with it, including building a robot! The best part is that you can build one for as cheap as $50 or as expensive as $1000 and beyond. Where do you get started, then? 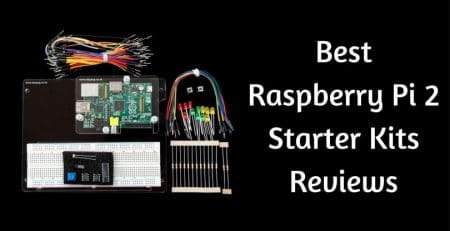 Pick out the right Raspberry Pi robot kit based on your preferences and you’ll be good to go! Hands down, the SunFounder Raspberry Pi robot kit is the best in the market today and we say this because it has outstanding functionality and just about everything you need to get started with your robot building project. It is a comprehensive STEM learning kit for enthusiasts and professionals and users can’t stop praising it. You will have a lot of fun during assembly! The vehicle is quite well-designed. You can use it seamlessly for Python coding. It has an S-block based graphical visual programming language line. It comes with 3 different sensor modules that function for ultrasonic obstacle avoidance, light follower, and line follower. You can engage in simple GUI programming with this robot kit. Remember that you can use this only with Raspberry Pi and not the other boards. It comes with a user manual that has complete instructions as well as code for the vehicle. It also has a published video online to help you further with the assembly and usage. The Dexter Industries has made this GoPiGo3 Robot kit which helps to build a fully functional robot powered by Raspberry Pi 3. It includes a robot body, motors, controls and everything you need to get your Raspberry Pi up and running. 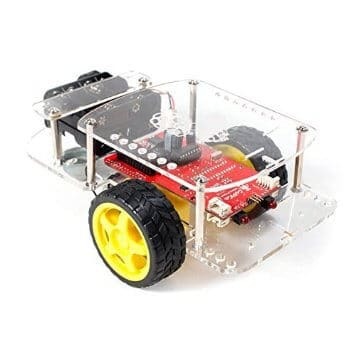 Currently, it is one of the most popular Raspberry Pi Robot Kits on Amazon. The Switch Science has designed the Rapiro robot which is a DIY Raspberry Pi-powered kit. 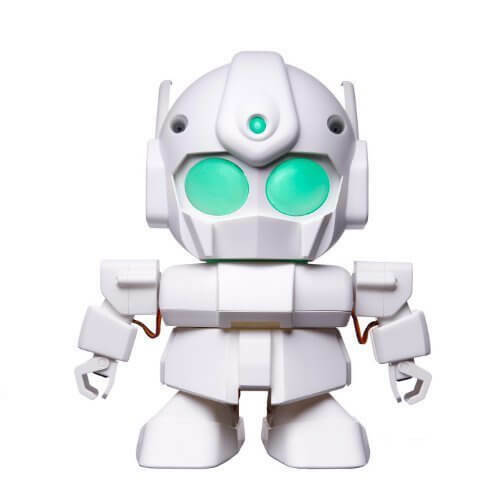 It is an affordable, sturdy, easy to assemble, humanoid robot kit. 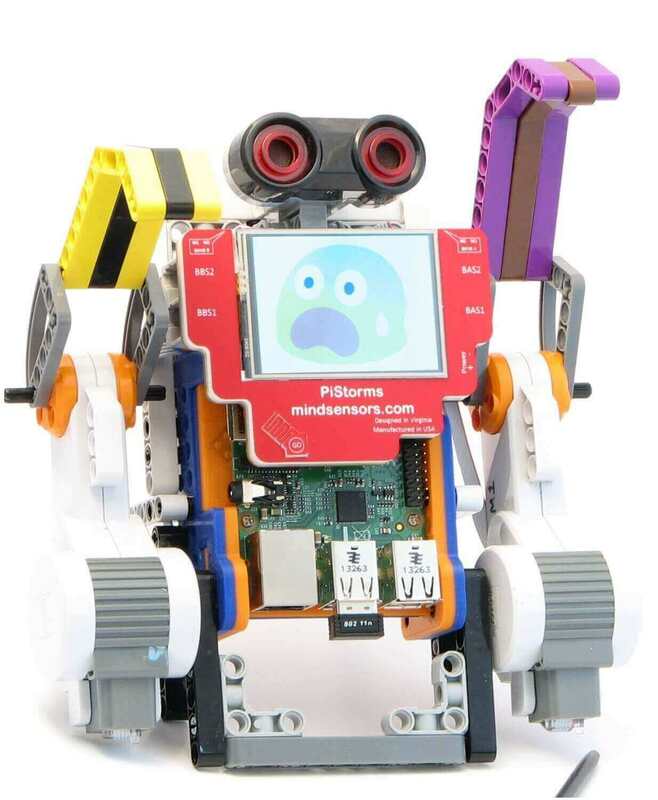 You can make the stunning robot powered by Raspberry Pi with this fantastic Raspberry Pi Robot kit from mindsensors.com. It easily interacts with your bot and can be programmed using the Python. The package includes a PiStorms controller, a LEGO compatible frame, a 6-AA battery holder, a WiFi adapter and an SD card loaded with a ready to use Operating System. 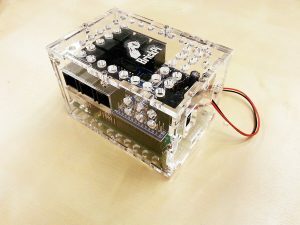 You can make LEGO robot by using the brains of Raspberry Pi! If you want to get started with a robot, then this smart video car Raspberry Pi robot kit from SunFounder is a great option to choose. You can also apply this kit in a virtual machine on Linux. If you have an Android OS installed on Raspberry Pi, then you can operate this setup using a supported app by SunFounder. Design a stunning robot with the BrickPi starter bundle from Dexter Industries. It comes with all the needed accessories. 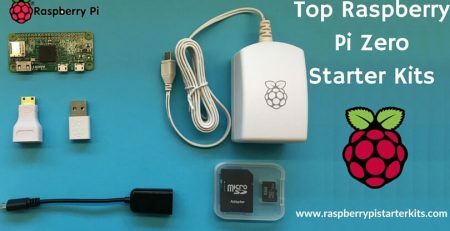 You need to separately buy the Raspberry Pi 3, power supply, micro SD card with preloaded ‘Raspbian for Robots’ software, WiFi dongle, etc. though. The BrickPi+ Raspberry Pi robot kit is a Wi-Fi supported, cross country, off-road smart car robot kit. It helps you to make a 4-wheel smart robot car on your own without any professional help. The SunFounder has developed an open source robot Pi learning kit to help you understand the coding platform using Raspberry Pi 3. It includes a wide-angle webcam to give clear and perfect pictures of the objects that come in between the path of the robot car. The user-friendly graphical interface, simple coding section with a drag-and-drop feature, multiple OS, and coding languages support, etc. 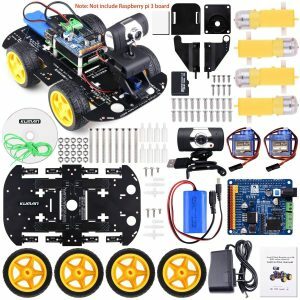 are the main advantages to have this RPi 3 robot car kit. It can work with any computer, tablet, mobile phones, etc. If you want a complete Raspberry Pi robot kit with a WiFi functionality, then Kuman professional robotic kit is an excellent option to choose. 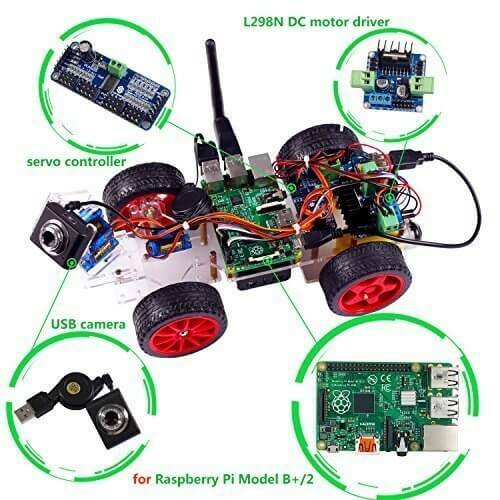 It will help you to control your Pi powered robot car through a mobile application too. 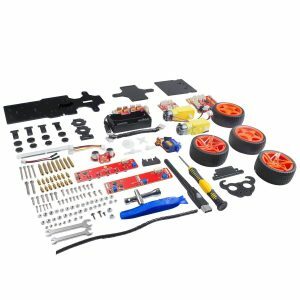 The smart robot car kit from Kuman is compatible with computer systems, iOS, and Android devices to let you get started with your Raspberry Pi 3. It takes advantage of both the application and coding platforms to interact and control the robotic car kit. 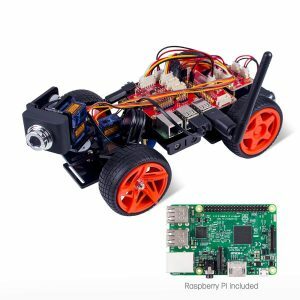 We hope we helped you find the best Raspberry Pi robot kit to get started with your magical projects. If you are still confused, you could take our recommendation and purchase the SunFounder Raspberry Pi Smart Robot Car Kit. It is supremely reliable and very easy to work with. What are your thoughts? We would love to hear from you! i received one Raspberry 3b WiFi video robot kit and I find the board that has the USB ports is missing along with the Micro SD card.